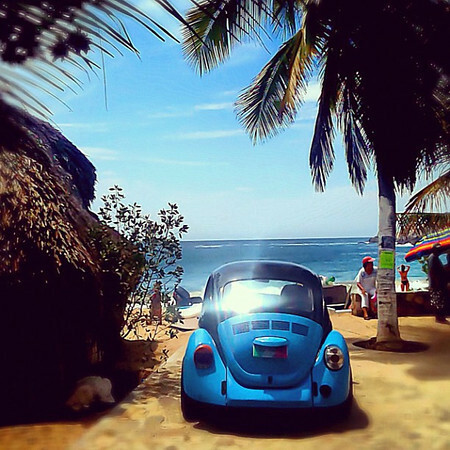 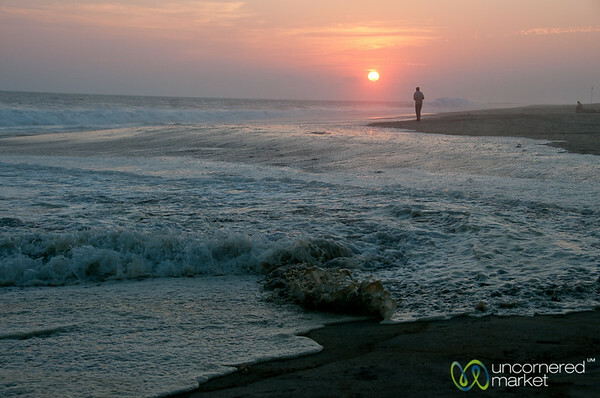 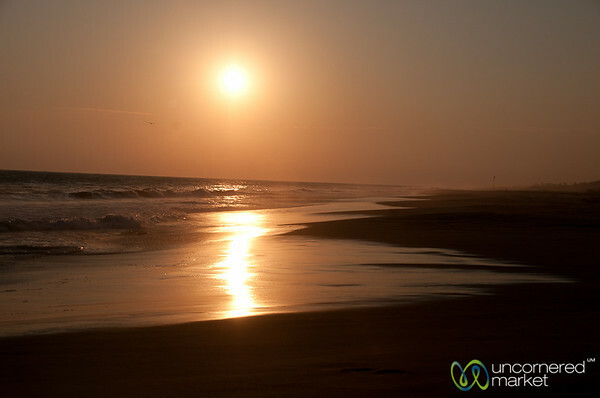 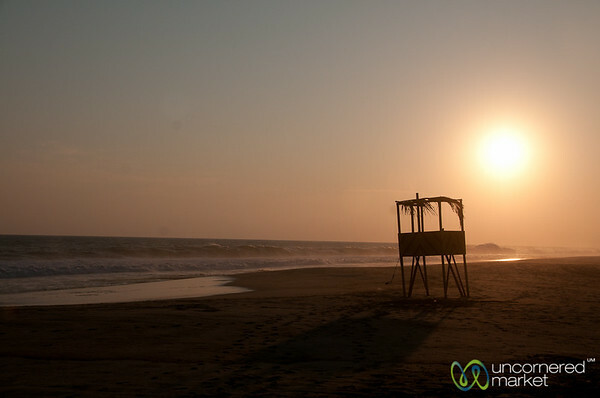 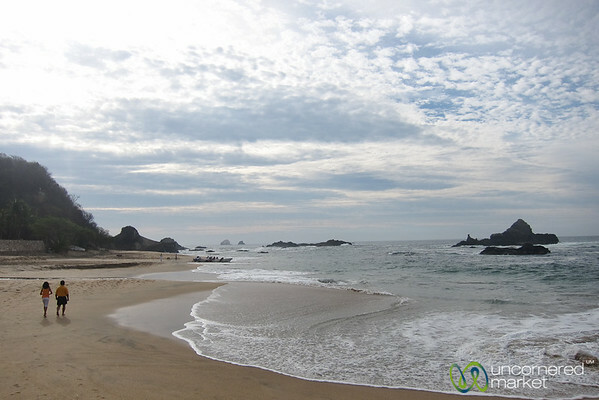 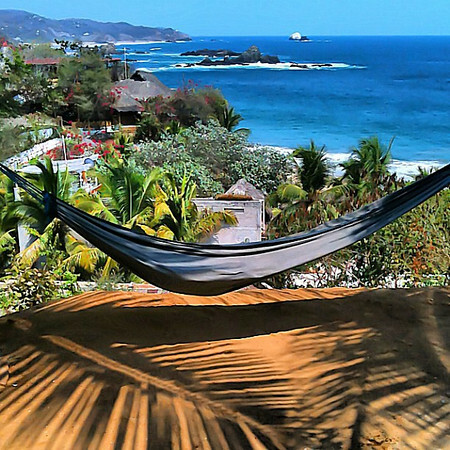 Photos from Mazunte, a small beach town on the Pacific Coast of Mexico in the Oaxaca Region. 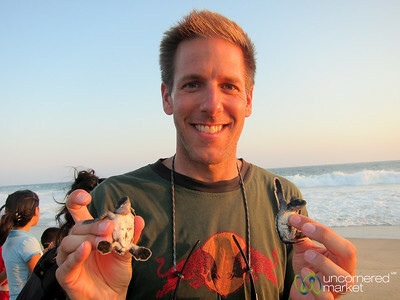 Dan holds up the baby turtles we're going to set free as part of the turtle liberation events organized by the Turtle Center in Mazunte, Mexico. 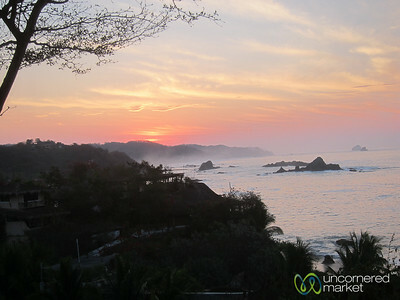 Dawn at Mazunte Beach in Mexico. 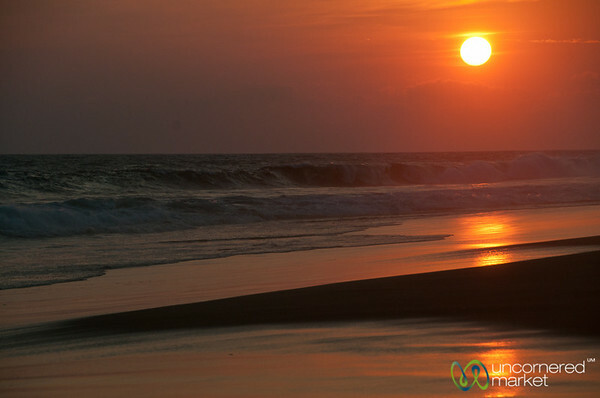 Sunrise along Mexico's Pacific Coast in Mazunte. 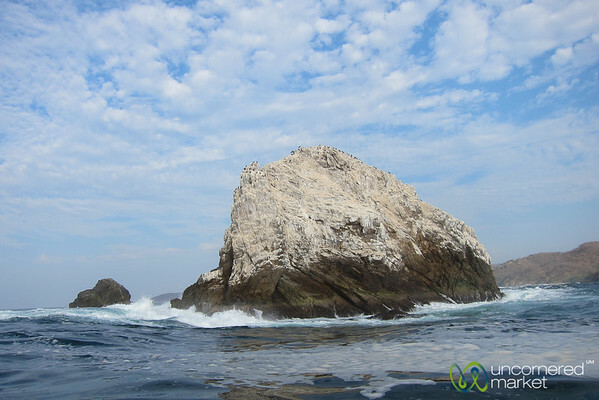 Birds had made this island its home off the coast of Mazunte, Mexico. 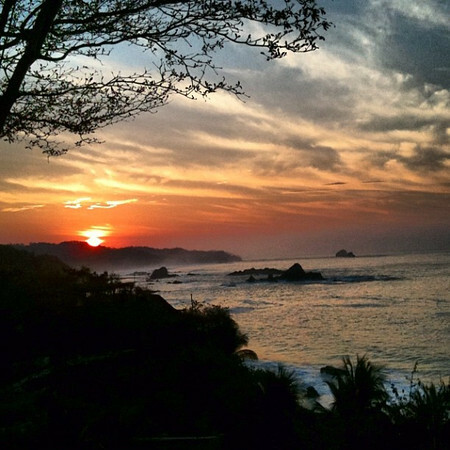 Sunset at Playa la Ventanilla near Mazunte, Mexico. 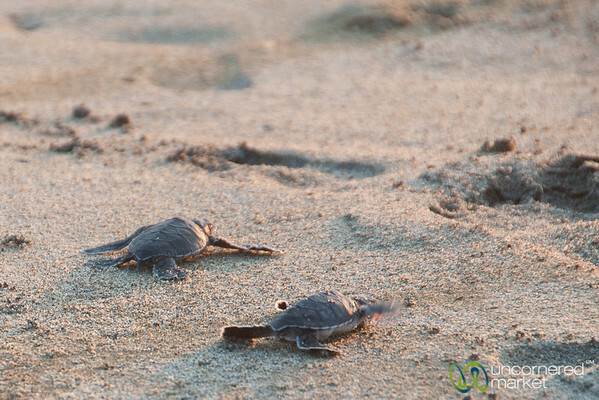 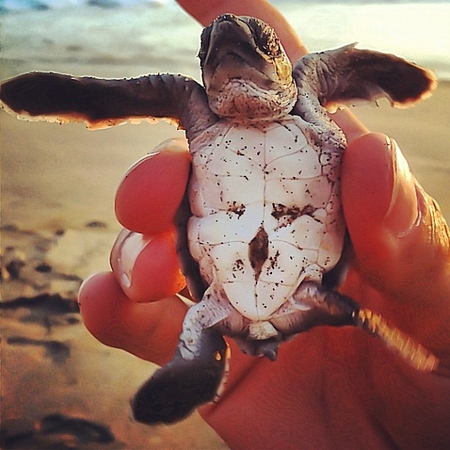 Baby sea turtles running to the water as part of a turtle liberation event on La Ventanilla beach. 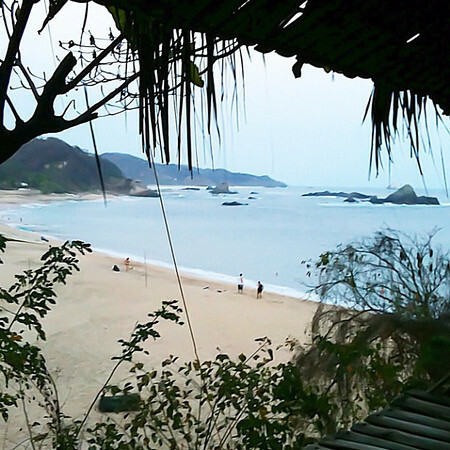 Mazunte, Mexico. 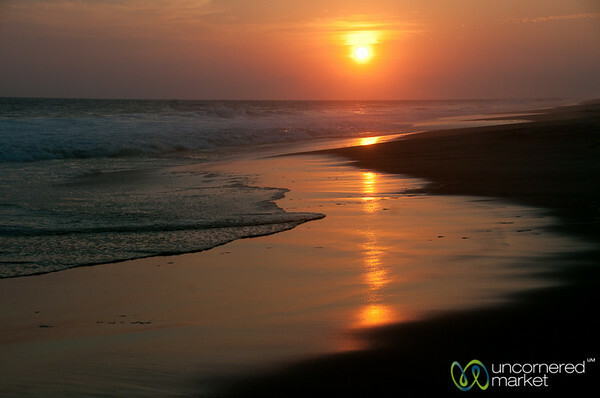 Sunset at La Ventanilla Beach at Mazunte, Mexico. 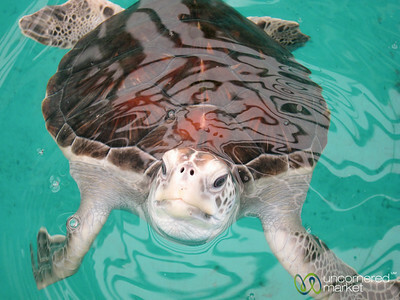 Up close with a Hawksbill sea turtle at the Mexican Turtle Center in Mazunte, Mexico. 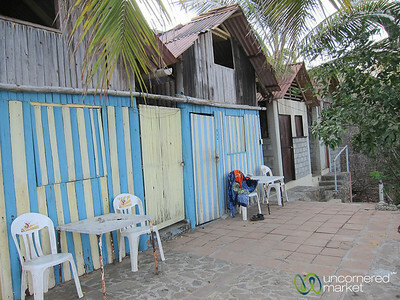 Our simple accommodation in Mazunte, Mexico. 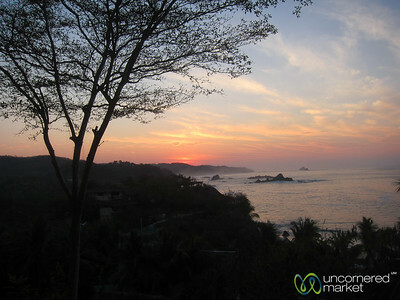 Sunset at La Ventanilla Beach near Mazunte, Mexico. 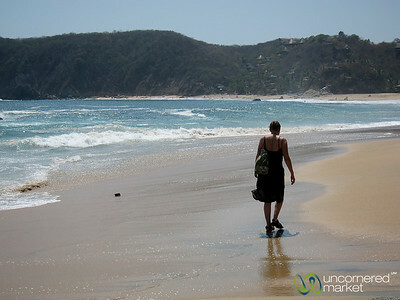 Audrey takes a walk along Mazunte's beach along the Pacific Coast of Mexico. 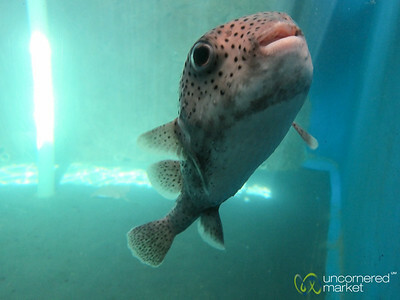 A blowfish in the acquarium at the Mexican Turtle Center in Mazunte, Mexico.